The not-for-profit sector will be lobbying hard to ensure that the rules of any new affordable housing system results in a meaningful reform and not just a grand-sounding but empty gesture, writes Wendy Hayhurst, CEO of the NSW Federation of Housing Associations. New South Wales might just be poised for a major advance in the quest to tackle our chronic shortage of affordable housing. According to last week’s Sydney Morning Herald, the Baird government is on the verge of embracing affordable housing targets in Sydney’s six district plans to be announced later this month. Under the new powers that would be needed, developers may be obligated to include an affordable component within all new housing schemes on re-zoned land. This could be a game changer for the tens of thousands of Sydneysiders forced into housing stress in our overheated market. As reported, affordable housing targets under the new regime may be in the region of 5 to 10 per cent of floor space. That’s a whole lot better than zero! But looking to similar policies, as operated in comparable cities like London and New York, the federation will continue to argue for higher figures – especially for developments on government land. More importantly, we will be lobbying hard to ensure that the rules of any new system result in a meaningful reform and not just a grand-sounding but empty gesture. Critically, these rules will need to be broadly applicable and will need to specify that “affordable housing” means rental homes available at a sub-market price in perpetuity. We know that others will be pressing for a narrowly targeted regime with a permissive interpretation of “affordable housing”. Considering the state’s need for 100,000 new social and affordable homes by 2036 (50,000 by 2026) and given the derisory level of affordable housing construction currently ongoing, no single policy is going to yield enough to crack this problem. To its credit, the government has already pledged some expansion of supply over the next few years through the premier’s Social and Affordable Housing Fund and through the communities plus estate renewal program. But with existing commitments promising a net addition of only around 9,000 social and affordable homes over the next decade, a huge challenge remains. The seriousness of the current housing situation is not lost on the wider public. Following the federal election the Essential Poll ranked housing affordability in the top five issues Australians believe need addressing in the next year – above education, climate change and even so-called budget repair. And in a recent poll for the Federation, Essential found 80 per cent favouring a government requirement that every new residential development contains some affordable housing. Here in Sydney we’ve been witnessing an ongoing procession of urban expansion plans promising to boost housing supply within existing city limits. In May it was the Sydenham to Bankstown urban renewal corridor project signalling 36,000 new apartments. Then in September the new masterplan for Sydney Olympic Park heralded 10,000 new homes. In expanding overall housing numbers these developments are all well and good. As announced, though, there has been no mention that these projects will incorporate any affordable housing. For the good of our city this has to be put right. From a development viewpoint, the financial challenge of building affordable housing is a lot about what you need to pay for land, rather than actual build costs. When developing in an area like Parramatta, for example, community housing providers estimate that buying a site will absorb half the total housing scheme budget. And it’s largely through land price inflation, not through rising builder charges that the overall cost of housing development has been going through the roof over the past few years. Sydney land prices have risen by 74 per cent since 2010. That’s why “affordable housing targets” are so important. As such schemes routinely operate in the UK, they effectively lock in a supply of low cost or free-of-charge land for affordable housing development. As seen in NSW parliamentary debates last month, some on the government side continue to claim that “expanding supply” is a magic bullet for all housing ills. One speaker recited the tired fallacy that the problem is “really a simple case of supply and demand”. Nevertheless, we remain hopeful that government ministers recognise that expanding overall housing output must be complemented by a range of direct interventions to expand social and affordable housing accessible to lower income Australians. Affordable housing targets for private residential development projects. As a landowner, government to set an example with ambitious affordable housing targets on its major land holdings slated for disposal, such as regeneration sites like the Bays Precinct. Government incentives to trigger investment in affordable housing – such as through expanding the Social and Affordable Housing Fund through designating a fraction of the stamp duty bonanza seen since 2011. The Commonwealth’s Affordable Housing Working Group to recommend ways to assist housing providers in accessing well-priced long-term funds from institutional investors. We’ve been hearing for many months now that the NSW Government has been working on new housing policy measures that will responsibly confront the growing problem. Given the seriousness of the situation it has been a frustrating wait. On the other hand we fully appreciate the complexities that will need to be overcome to ensure any reforms are meaningful. The proof of the pudding will be in the eating. Let’s hope that the taste will be good. About the author: Wendy Hayhurst is the CEO of the NSW Federation of Housing Associations Inc and has 25 years experience across the social housing sectors in England, Scotland and Australia. 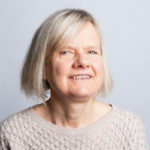 Hayhurst has an in-depth understanding of housing policy through her senior managerial roles and having been a non-executive director in a wide range of housing provider organisations, regulatory bodies and specialist consultancies. Wendy Hayhurst is the CEO of the NSW Federation of Housing Associations Inc.